Donald Trump has shared a series of Islamophobic tweets from far-right extremist group Britain First, sparking condemnation for spreading its "deplorable" ideology to a global audience. The first video, originally shared by deputy leader Jayda Fransen's account, claimed to show "Muslim migrants beating up a Dutch boy on crutches". A second re-post was captioned "Muslim destroys statue of Virgin Mary", while a third read "Islamist mob pushes teenage boy off roof and beats him to death". The content of the videos or their origin could not be independently verified, but local reports said the first showed the 2013 murder of a teenager who was himself likely to be a Muslim during riots over the coup against Mohamed Morsi. The attacker in the video from the Netherlands was neither a Muslim nor a migrant, according to local media, and was arrested over the incident. Shortly after sharing the footage, the President called on Americans to "boycott Fake News CNN" and hailed "another great day for the stock market". His early-morning Twitter frenzy came days after Ms Fransen was arrested over a speech made at a rally in Belfast - the latest in a series of incidents over alleged hate speech, religious harrassment and incitement by Britain First members. Ms Fransen has been charged with using threatening, abusive or insulting words or behaviour at the Northern Ireland Against Terrorism Rally and is due to appear at Belfast Magistrates' Court on 14 December. Ms Fransen is also facing trial over four charges of religiously aggravated harassment as part of a Kent Police investigation into the distribution of leaflets and the posting of online videos during a trial in Kent earlier this year. Her account celebrated the shares, claiming that Mr Trump "himself" had retweeted the videos to almost 44 million followers around the world. "God bless you Trump! God bless America!" read a tweet, signed off with the abbreviation OCS, meaning Onward Christian Soldiers. Britain First's supporters were celebrating the publicity amid a furious reaction by politicians from all parties, with mounting calls for Theresa May to make a statement. The Prime Minister's official spokesman said Britain First sought to divide communities through its use of “hateful narratives which peddle lies and stoke tensions", adding: “It is wrong for the President to have done this." Jeremy Corbyn called the tweets "abhorrent, dangerous and a threat to our society". A question was raised by Labour MP Stephen Doughty over the tweets in the House of Commons, where MPs could be heard calling them “absolutely disgraceful”. Yvette Cooper, the former shadow Home Secretary, urged Amber Rudd or Boris Johnson to condemn the “significant and serious” posts. "The woman in question has already been convicted of hate crime in this country," she added, warning that Mr Trump had given her a "huge platform". Chuka Umunna was among those calling for Mr Trump's state visit invitation to be withdrawn immediately, accusing the President of "normalising hatred". "At some point you've got to draw a line, or you're going down a very dangerous road," he added. David Lammy, the MP for Tottenham, said he had gone "beyond the pale...promoting a fascist, racist, extremist hate group", adding: "He is no ally or friend of ours. Donald Trump, you are not welcome in my country and my city." Ms Fransen's account, which is partly automated, frequently shares unverified videos claiming to show migrants and Muslims physically or verbally attacking people in Europe. 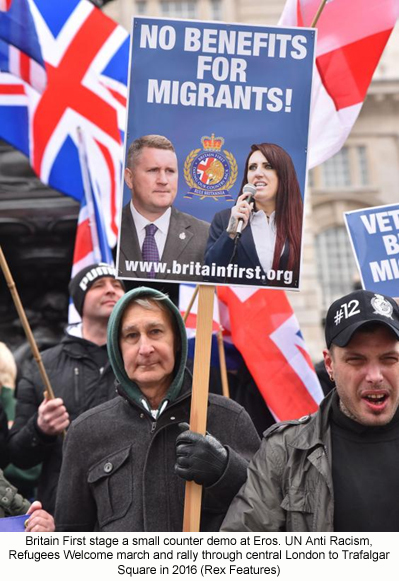 She is the deputy leader of Britain First, which styles itself as a political party but has been condemned by campaigners as a far-right extremist group. It calls on supporters to join the "British resistance" and "secure a future for British children" and has become known for paramilitary-style "invasions" targeting mosques. The past year has seen the group's leaders travel to meet far-right groups in Poland and other countries, amid warnings that extremists are increasing international coordination to recruit vulnerable people online. Brendan Cox, the husband of murdered MP Jo Cox, said Mr Trump had “legitimised the far-right in his own country, now he’s trying to do it in ours”. “Spreading hatred has consequences and the President should be ashamed of himself,” he added. Ms Cox was murdered by a far-right extremist who repeatedly shouted “Britain first” during his brutal attack, although it was unclear whether he was referring to the group and he was also supported by the neo-Nazi terrorist group National Action. The Muslim Council of Britain said the shares were the “clearest endorsement yet from the US President of the far-right and their vile anti-Muslim propaganda”. Meanwhile in the US, the Council on American-Islamic Relations said the President was ”clearly telling members of his base that they should hate Islam and Muslims”, following repeated attempts at a controversial immigration ban targeting Muslim-majority countries. 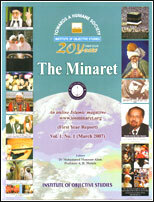 The group's executive director, Nihad Awad, said the posts “amount to incitement to violence against American Muslims”. Nick Ryan, of Hope Not Hate, told The Independent it was “pretty incredulous that the leader of the free world would stoop to sharing content from one of the most notorious far-right groups in the UK, which has had links to the past to Loyalists, the British National Party”. Unite Against Fascism's joint secretary, Weyman Bennett, said Mr Trump must be condemned for the “deplorable” shares. “It beggars belief that the most powerful person in the world is retweeting Ms Fransen's vile views,” he added. A more unlikely critic was Infowars conspiracy theorist Paul Joseph Watson, who said that "retweeting Britain First is not great optics". Julia Ebner, a research fellow at think-tank the Institute for Strategic Dialogue, said Mr Trump’s behaviour had been taken to an “entirely new level”. “If he was previously merely flirting with the extreme right, then he is now explicitly sharing a bed with them,” she told The Independent. “I'm not sure what would be worse - if he purposefully retweeted it or if he was simply unaware what it was that he was sharing. Ms Ebner, who wrote a book called The Rage on the “vicious cycle” of Islamist and far-right extremism, said transatlantic coordination between fringe groups was made more likely by Wednesday’s retweets. She added: “President Trump's retweet could act as an endorsement that allows Britain First to move further into the mainstream both in the UK and in the US."